This geometrical model depicts a compound of five cubes. The Mathematics Collection, associated with the Department of Mathematics, consists of a number of models designed to illustrate geometrical shapes and geometrical equations. A sub-set of these shapes are known as the Coxeter Collection due to their association with the career of geometrician Donald Coxeter. 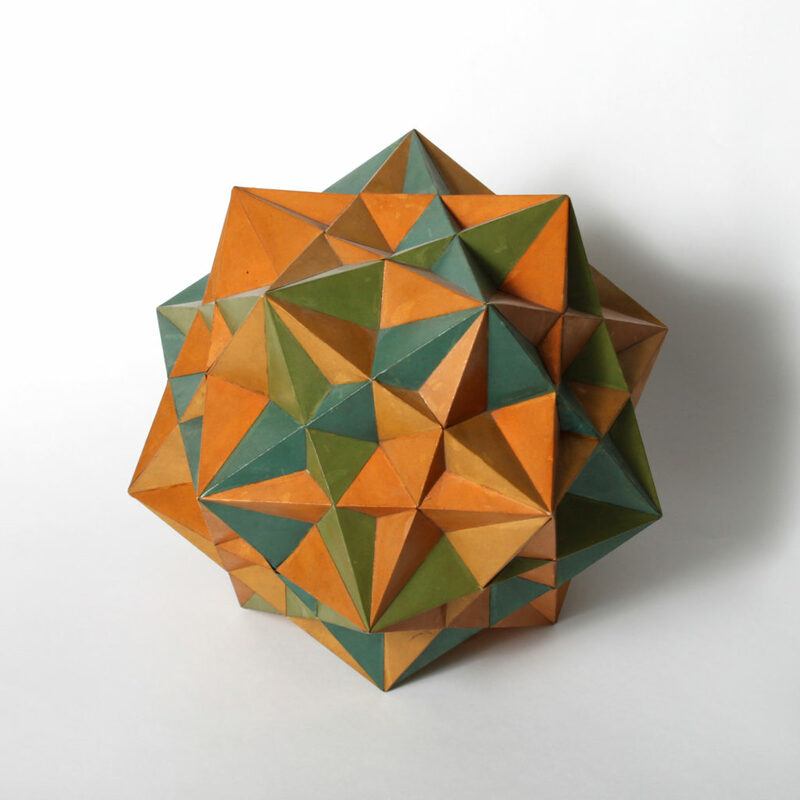 Constructed over the course of many years in the mid- to late 20th century by faculty and students, these illustrate both simple shapes—such as cubes—and much more complex ones, such as a Compound of 5 Octahedra. This collection also includes other models which illustrate geometrical equations. These are made from plaster scored with lines were likely purchased from Brill-Schilling in the early 20th century. Most of this collection has been photographed, and a majority has been catalogued. Contact: Pamela Brittain (pamb@math.toronto.edu), Outreach and Special Projects Coordinator, Department of Mathematics. Many of these models are on display in a hallway cabinet at the Department of Mathematics.